Summit County is a wonderful place to ride a bike. 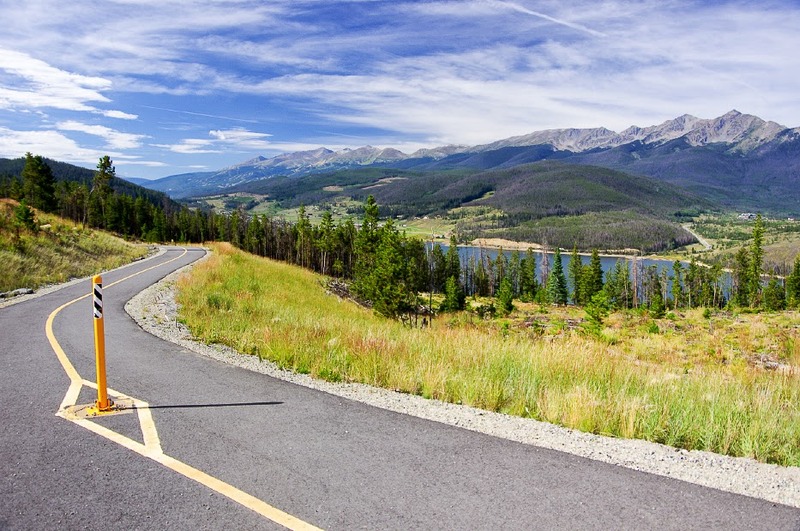 If you haven't yet ridden a bike in Breckenridge, Frisco, Copper Mountain or Keystone - you need to give it a try this summer. 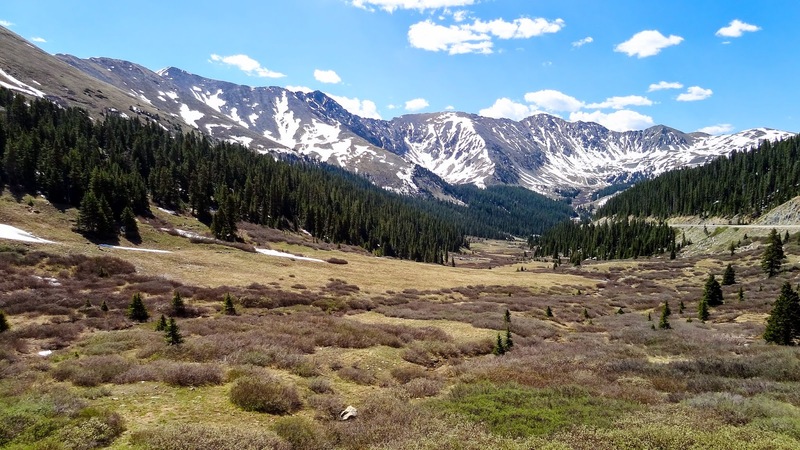 Centrally located in the high mountains of Colorado, Summit County, contains the climbs of Vail Pass, Loveland Pass, Boreas Pass, Hoosier Pass, Fremont Pass and Ute Pass. That is a lot of passes. 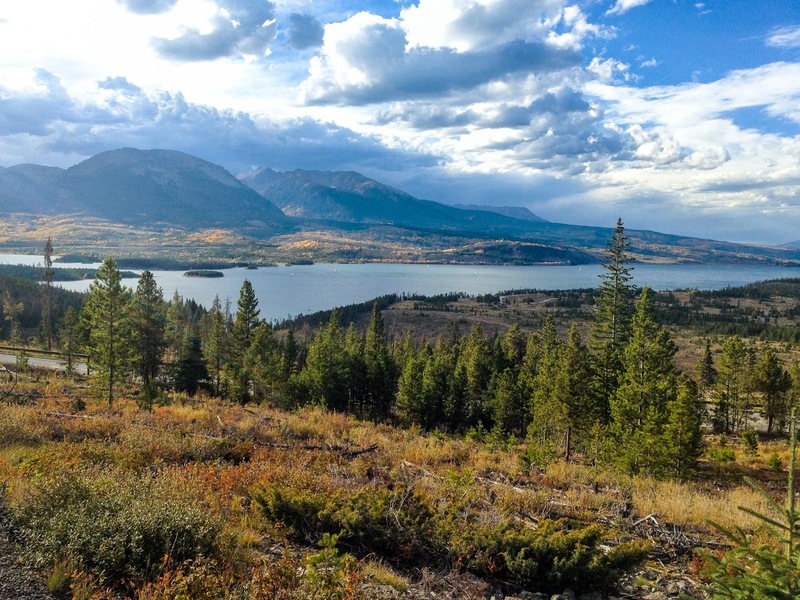 Summit County also has miles of bike paths and roads connecting mountains, valleys, lakes and small towns over diverse terrain with spectacular views; perfect for the intermediate to advanced cyclists, with sections suitable for beginner cyclists. I recently completely a huge project, I wrote a Cycling Guide to Summit County. 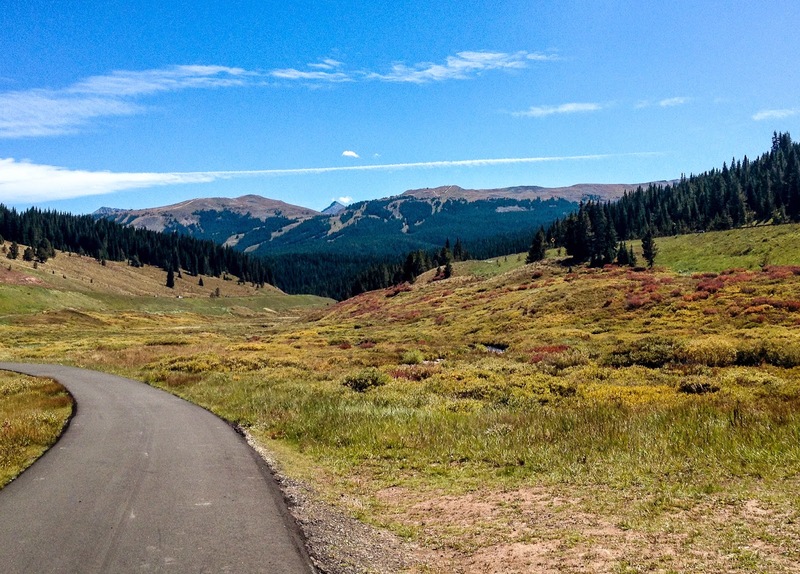 Inspired by my recent selection as an Ambassador with Ride with GPS, I wrote a cycling and travel guide to one of my favorite areas to ride a bike in Colorado - Summit County. 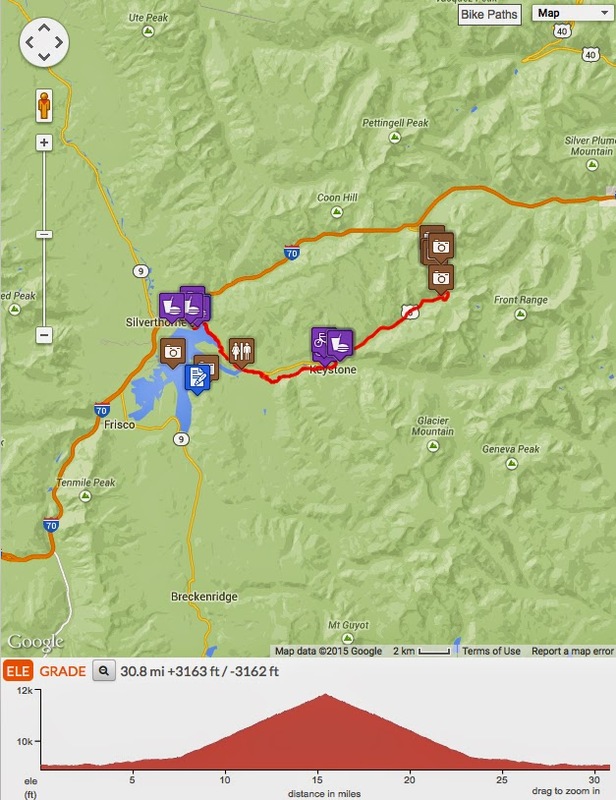 I had previously written posts to recommend bike rides near Aspen and Vail, so when Ride with GPS gave me first choice of selecting any area in Colorado, I wanted a new challenge - I wanted to map out rides in a county where I previously lived and often play. Summit County was my first choice. 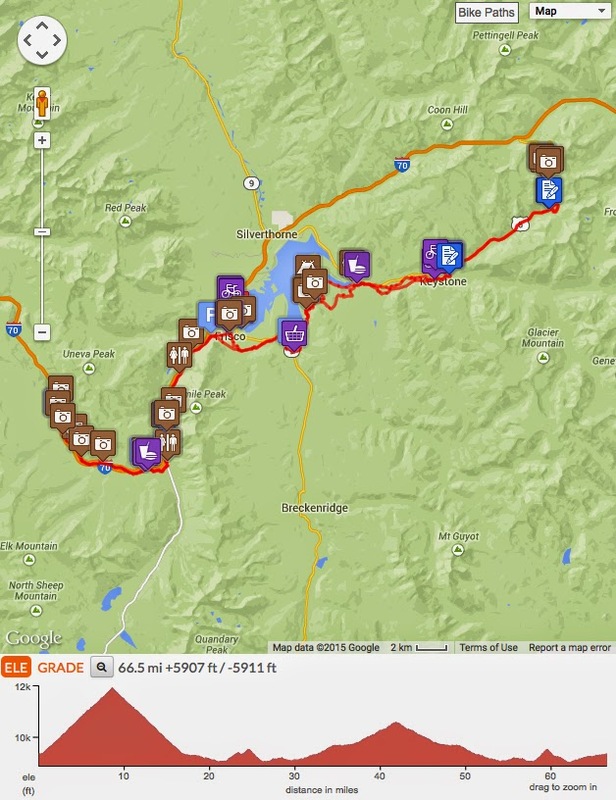 On the new guide to cycling in Summit County you will find 6 recommended routes. 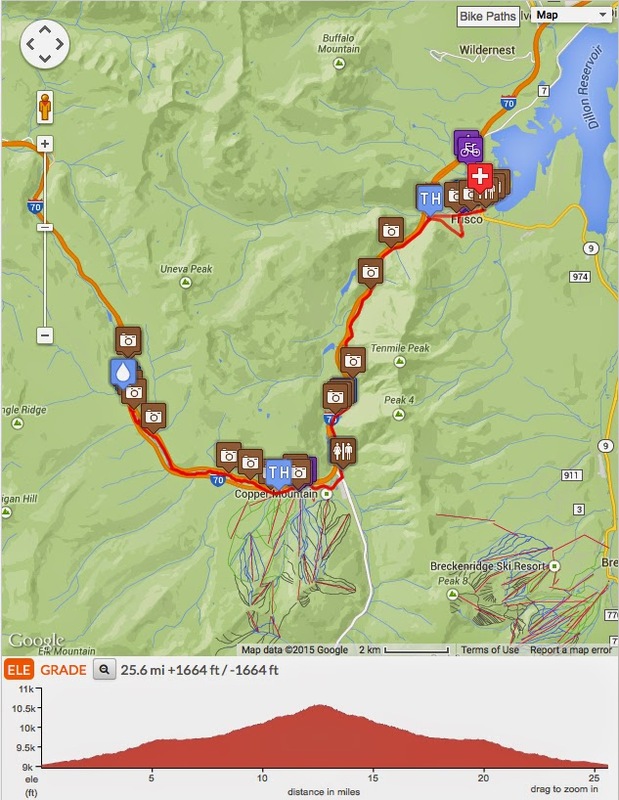 For each route, ride FAQs are given for distance, altitude, max grade, etc. 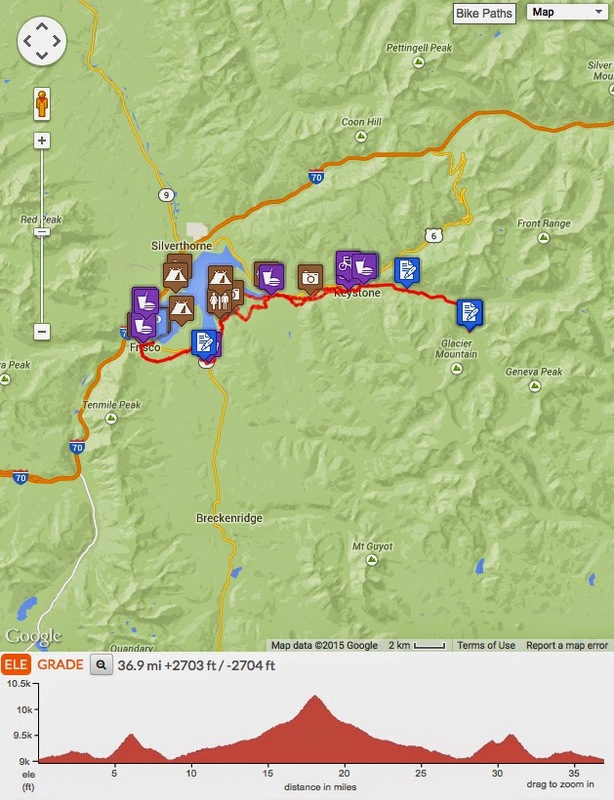 I also offer where to find water and restrooms on route, cautions to look out for and points of interest along your ride, with plenty of photographs added in for fun. On the Guide Page to biking in Summit County, there is a list of bike shops (with bike rentals noted), area history, and where to find my favorite local eats and drinks along your bike ride. 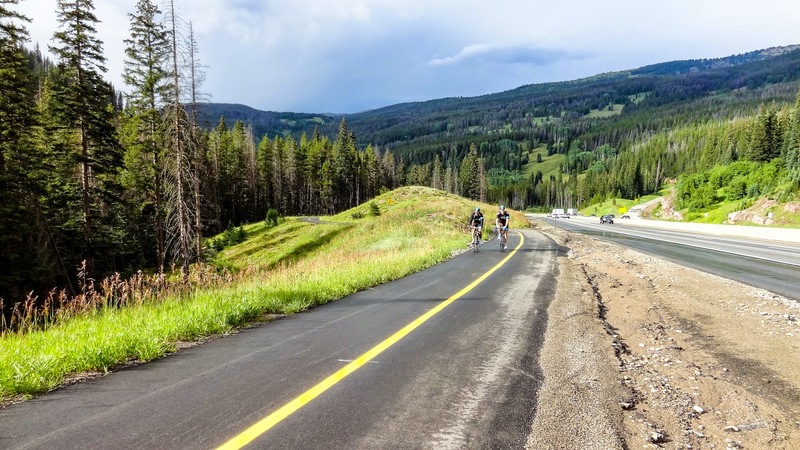 Are you ready to visit Summit County to ride a bike? 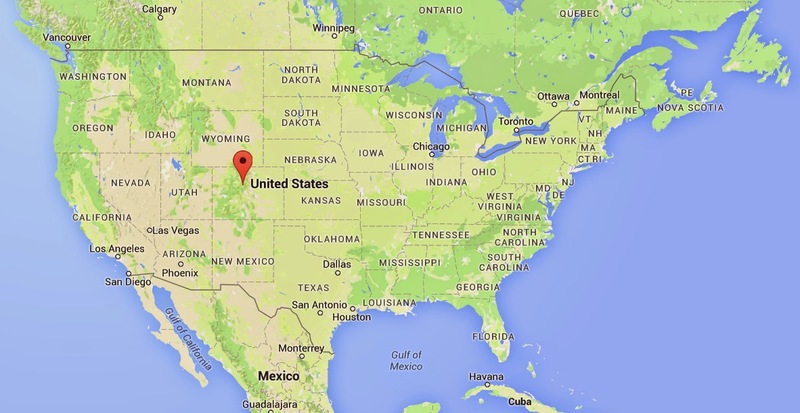 Location of Summit County, Colorado in U.S.A. 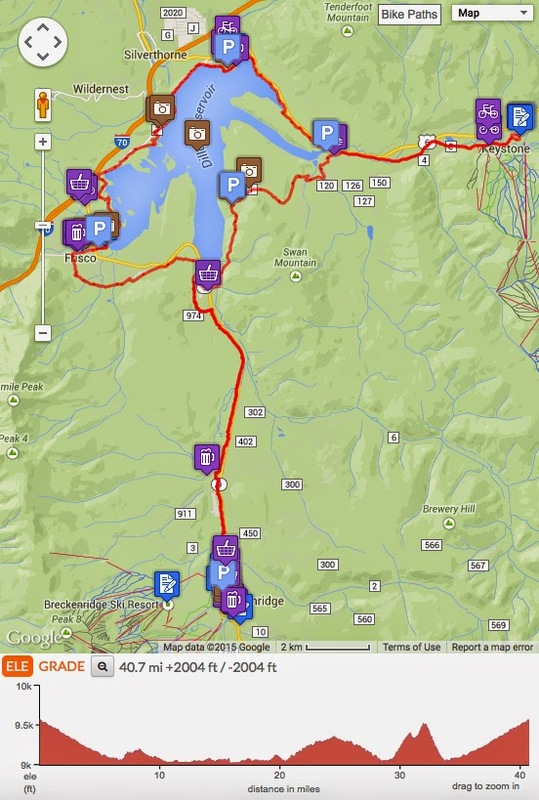 I have chosen to highlight 6 ride routes for you (and Ride with GPS). Within the description of each route, I mention route options and local tips and recommendations. 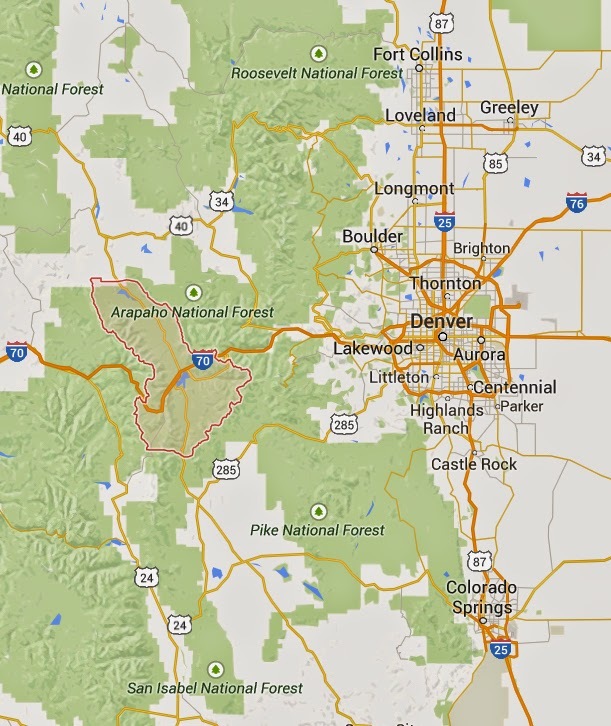 I suspect you love maps as much as I do; I know you will love riding in Colorado as much as I do. 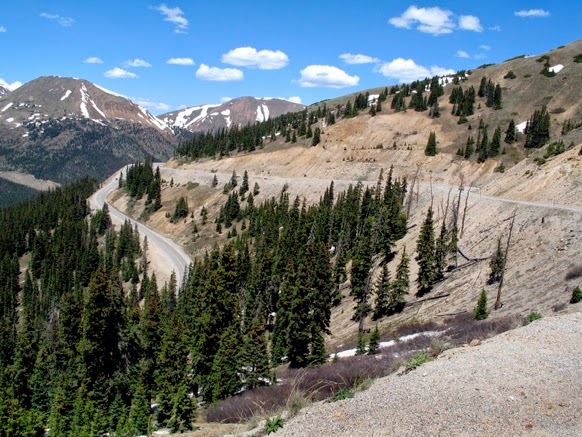 In 2015, the USA Pro Challenge will feature 2 stage finishes, 1 stage start, and 1 full day of individual time trial racing in Summit County, Colorado. 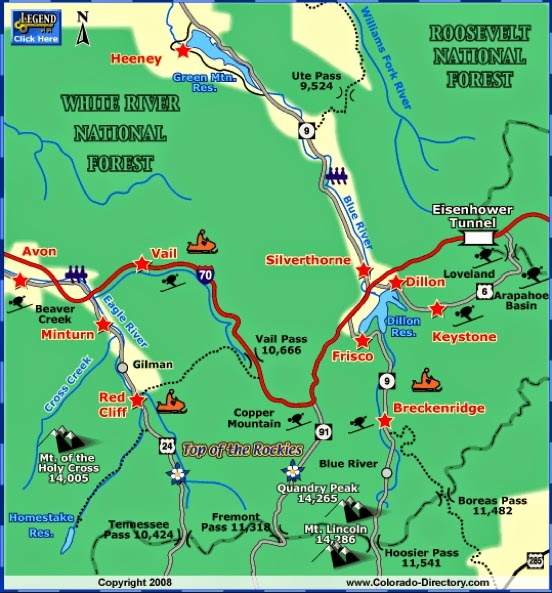 That is four out of seven stages hosted in Summit County. Why - because Summit County has magnificent cycling. Come discover the RIDE! 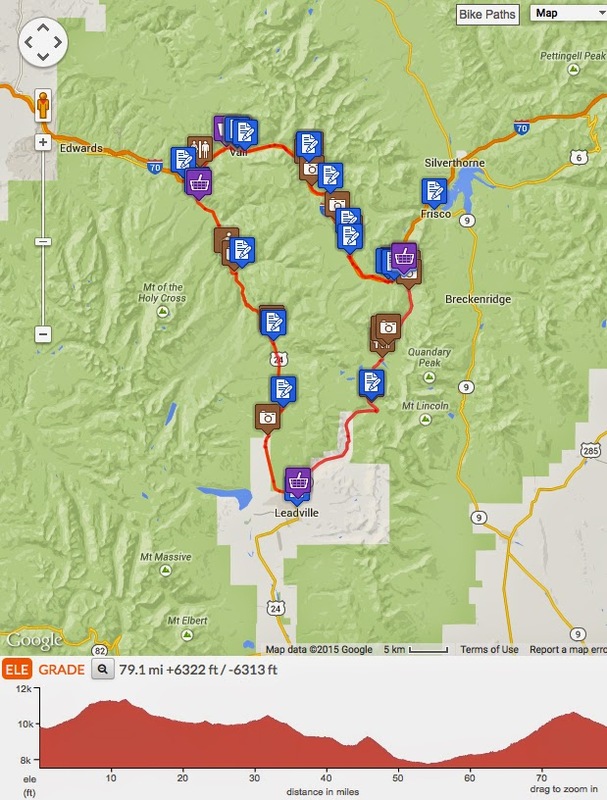 Please follow the ROUTE MAP links for more information about each recommended ride. 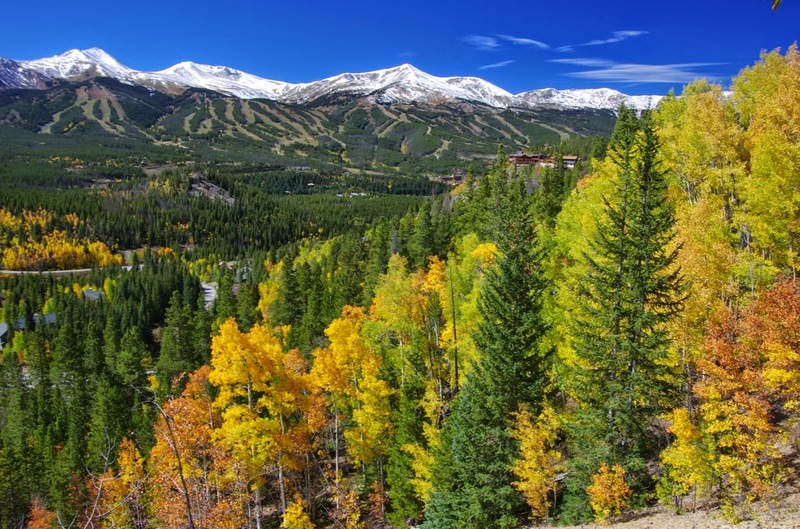 Breckenridge is a colorful bustling mountain town known for skiing, mountain biking, and year round special events. This year Breckenridge will host 4 stages of the USA Pro Challenge in August 2015. Please visit and scroll down my new guide page to discover local food and bar recommendations, read the history of the area, find tips on riding in our high mountains and of course, see a photo of a moose! I would like to thank Laurie Decoteau, A.G. Bradley and Sue Stokes for their help in recommending local restaurants and ride details. I would like to thank Laurie Decoteau for her wonderful photography featured on all of the routes.